Spiral stairs are usually used in small spaces, but architects are taking the concept and using it to great effect in show-stopping designs that combine beauty with function. Here’s a handful of projects we’ve discovered that we hope might inspire your own creativity. 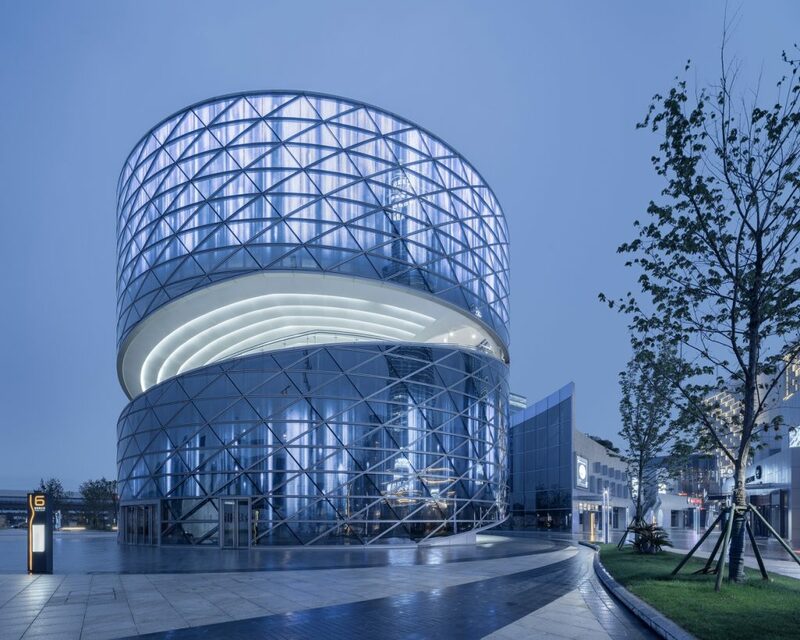 The Heli-stage art centre by ATAH architects, the Shanghai and Los Angeles-based design studio, is in the Chinese city of Shaoxing and the centrepiece of a commercial complex called the China Textile Centre (CTC), which comprises a mix of artistic and commercial spaces at the heart of the Keqiao Science City – one of the world’s largest and most important hubs for the production, trade and distribution of textiles. The CTC includes a shopping mall, offices and serviced apartments connected by a new streetscape and the Heli-stage’s prominent location at the main entrance meant a unique and stand-out structure was needed. 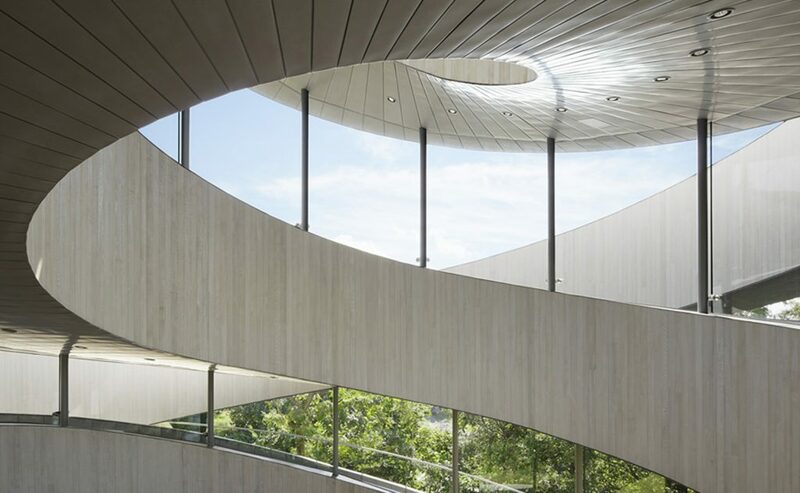 The vortex-like design of the surrounding landscape is intended to draw visitors towards the Heli-stage and its cylindrical shape is carved by a spiraling opening to reveal a circulation core that extends up through the centre of the building. A staircase that follows the perimeter of the cylindrical structure rises from the ground to gradually connect with the other levels and the external surface is wrapped in a “seamless curtain wall of curved triangular double-glazed panels” that incorporates projection technology that can transform the building into an animated beacon displaying different patterns or graphics. What do you do when you want to connect two separate homes with a stand-out design detail? 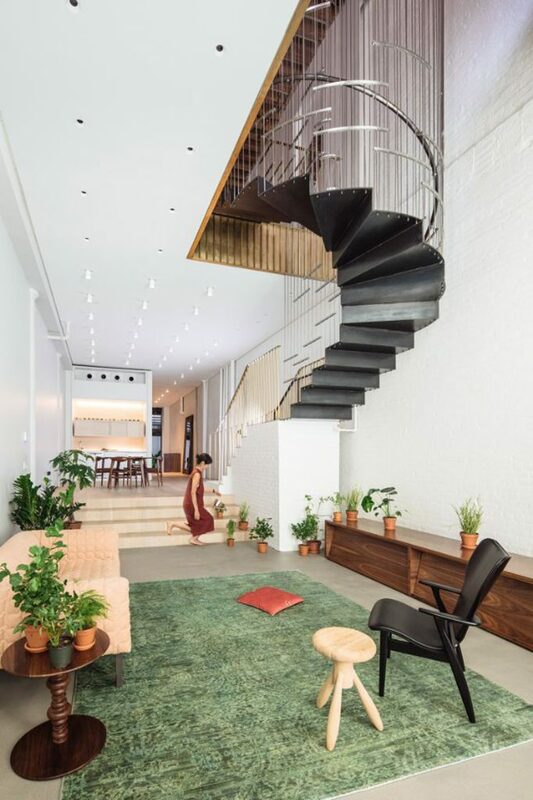 Dash Marshall architects, based in New York, decided to transform two residences into one home with a hanging, blackened-steel, spiral staircase. The Raft Loft (above) pairs two single-story apartments on the ground and the first floor of an industrial building in Lower Manhattan to make a home for a growing family. The project takes its name from the “raft,” an elevated platform at the centre of the ground floor that divides it into three distinct zones. 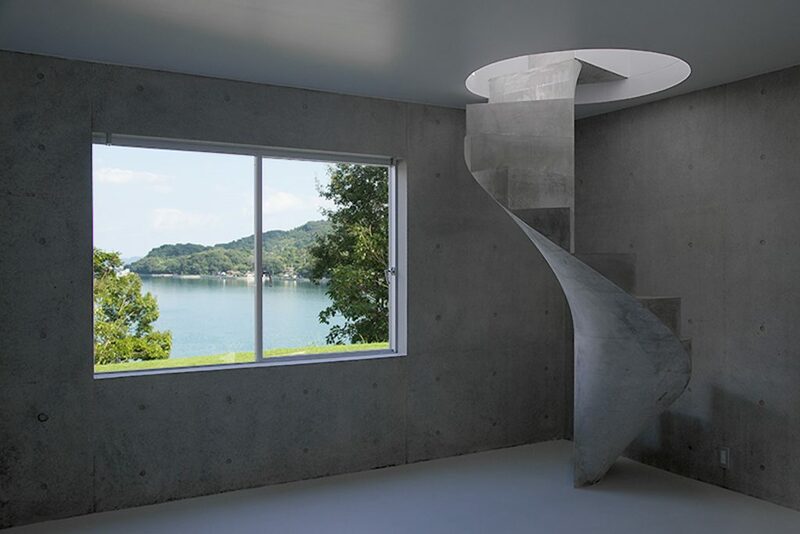 Kazunori Fujimoto Architect & Associates has created a concrete staircase (above) that spirals between the austere concrete floors of a house in Japan’s seaside Hiroshima Prefecture. The staircase is designed in such a way that it doesn’t need a central pillar. Finally, the Ribbon Chapel by Hiroshi Nakamura & NAP architects sits in the grounds of a luxury resort in Japan. 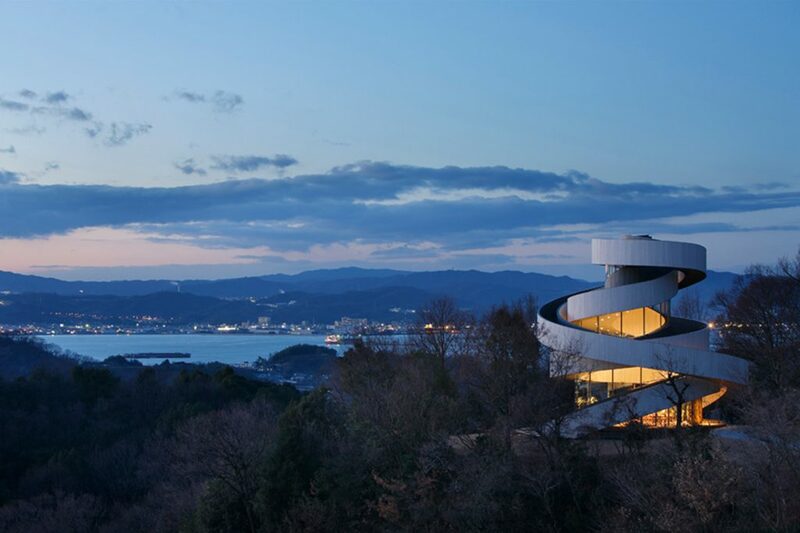 The wedding chapel, which enjoys a panoramic view of Seto Inland Sea of Japan, is formed by a double spiral of two separate stairways to create a self-supporting structure that “architecturally embodies the act of marriage in a pure form”.